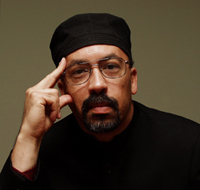 Bill Fletcher, Jr., is a longtime labor, racial justice and international activist. He is an Editorial Board member and columnist for BlackCommentator.com and a Senior Scholar for the Institute for Policy Studies in Washington, DC. He is the immediate past president of TransAfrica Forum and a founder of the Black Radical Congress. Voices From the Frontlines is dedicated to helping reconstruct a U.S. and world Left. The guests on Voices are strategists, tacticians and leaders of on-the-ground social movements. Our goal is to develop a group of activist listeners who will pressure elected officials, attend movement events, march in the streets, join organizations, and help to build the movement against racism and empire. MISSED A SHOW? FIND US ONLINE AND SUBSCRIBE TO THE PODCAST! Our shows are now being archived online! If you missed our past shows, you can find them at voicesfromfrontlines.com.